MainAll NewsForeign AffairsEuropean Politics and Airliner ‘Safety Ratings’? European Politics and Airliner ‘Safety Ratings’? A German-based airliner crash evaluation center lists El Al's safety rating at 24 and Lufthansa at 11 but the numbers don't add up. A German-based airliner crash evaluation center lists Finnair is the “safest” airline in 2012. El Al's safety rating is at 24, and Lufthansa is at 11 – but the numbers don't seem to add up. The rankings, listed in the “Traveller” column published on January 10 in The Age and written by William Mace, were cited by the Jet Airliner Crash Data Evaluation Centre ( JACDEC). The German-based Centre, according to Mace, calculates the ranking based on “aircraft loss accidents and serious incidents where an accident nearly occurred over the past 30 years.” The safety index relates the accidents to the revenue per passenger kilometer (RPK) performed by the airline over the same period. The top ten, headed by Finnair, were Air New Zealand, Cathay Pacific, Emirates, Etihad Airways, Eva Air, TAP Portugal, Hainan Airlines, Virgin Australia and British Airways. Many had not even been in service for the full 30 years, Mace noted. 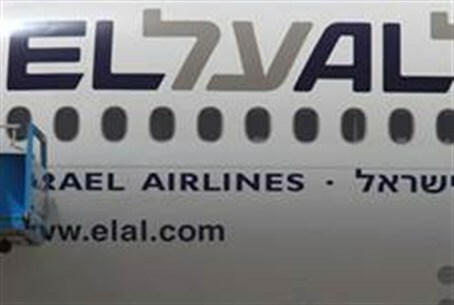 El Al Airlines rated at #24, despite having a perfect record of no hull losses and no fatalities over the past 30 years – the evaluation period – but earning a JACDEC Safety Index of 0,031. El was ranked at #18 among the top 20 best airlines in the world in an annual survey conducted by the popular tourism magazine “Travel and Leisure.” Also among the top 20 on that list were Singapore Airlines, Japan Airlines and at #20, Lufthansa. The writer pointed out that the index data did not reach back as far as 1979, when Air New Zealand flight TE901 crashed into Antartica’s Mount Erebus, killing 257 passengers and crew. Somehow, it also left out the November 2008 loss of Air New Zealand’s loss of three pilots, three engineers and an aviation inspector when the airliner’s Airbus A320 crashed into the Mediterranean Sea on a test flight. The “bottom 10" on the list included South African Airways, China Airlines and Turkish Airlines, among others. Yet Turkish Airlines received a 4 out of 5-star rating by Skytrax in 2011 in all categories of supervision in Europe, and a 4.5-star rating in its First Class services and products. The airline was also chosen as the winner in the categories of Best Airline Europe, Best Premium Economy Seats and Best Airline Southern Europe. Finnair’s safety record was 0,005 and no hull losses. But Emirates Airlines, which was ranked #4, had one, albeit 27 years ago. Its JACDEC Safety Index was 0,008. British Airways, ranked at #10, was listed with one hull loss over the past 30 years, four years ago, on 17 January, 2008. Its JACDEC ranking nevertheless was 0,011. Lufthansa, ranked at #11, listed one hull loss, and 2 fatalities, the most recent incident 19 years ago on 14 September, 1993. Its JACDEC Safety Index ranking matched British Airways, at 0,011.